Virtual training software gives students the freedom to learn from wherever is most convenient for them—and makes learning accessible to everyone. By removing the geographical barriers to learning, virtual training software helps enhance product adoption, career development and knowledge of offerings—without sacrificing the instructor’s teaching effectiveness. 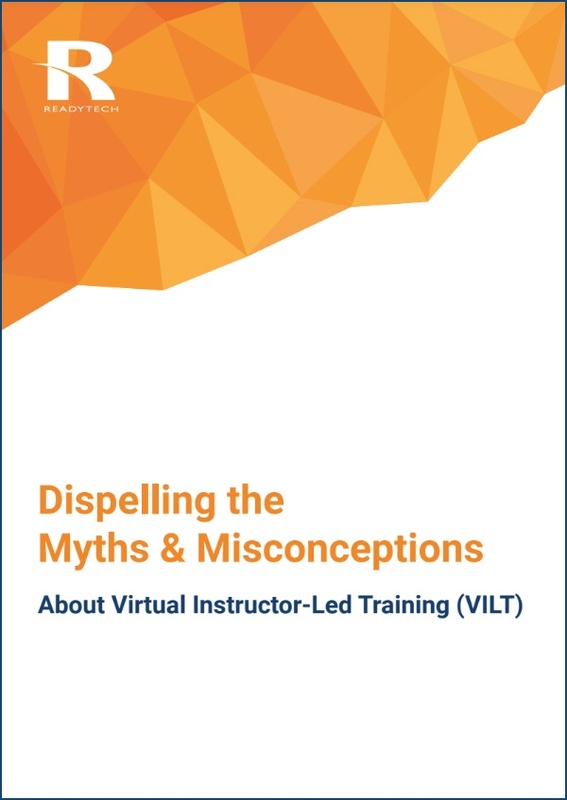 But virtual instructor-led training (VILT) is misunderstood by many. And with this misunderstanding comes common myths about what virtual training is—and is not. Download this eBook to take a closer look at these myths and discover what's really going on. 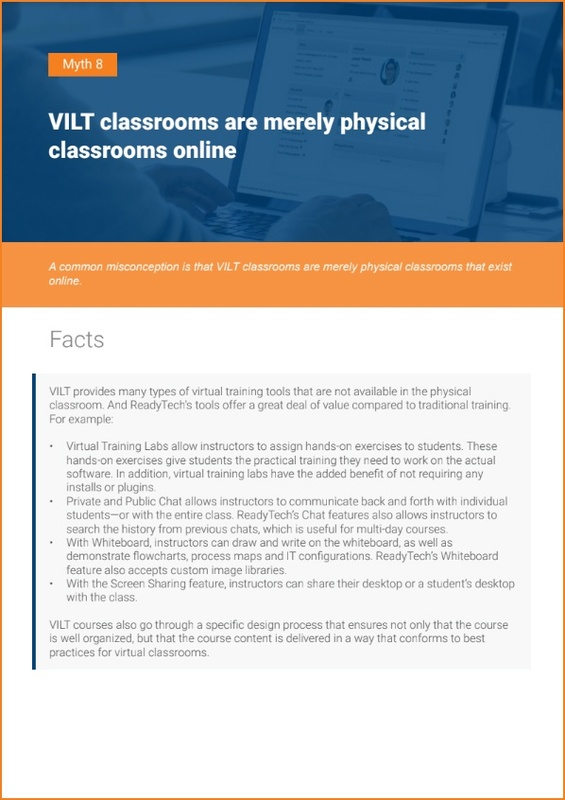 Myth 8: VILT classrooms are merely physical classrooms online. But the truth is that VILT software provides many types of virtual training tools that aren't available in physical classrooms. © Copyright 2018 www.readytech.com | All Rights Reserved.